Advent Health Waterman – Conroy CREATION Health Center (Conference Room) 1000 Waterman Way, Tavares. Florida Department of Health in Lake County (Administration Building), 16140 US Hwy 441, Eustis. Registration is required by calling 1-877-252-6094 or to learn more about the Quit Smoking Now (QSN) Program. The QSN Program is sponsored by the Florida AHEC Network and the Florida Department of Health, Bureau of Tobacco Free Florida. The Minneola Schoolhouse Library is hosting its 10th Anniversary Open House on Thursday, April 18 between 4 pm – 7 pm. Patrons, neighbors and community residents young and old are invited to gather and enjoy a special musical performance, games, snacks, drinks, and cake! 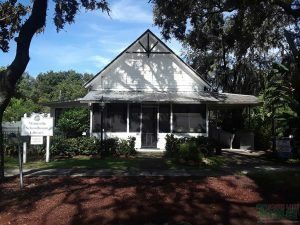 The little white clapboard schoolhouse was built in 1884 and served as a place of learning for local children until 1915 when the Clermont-Minneola School District consolidated, and a bigger, brick school was constructed on Second and Oak Streets to accommodate the growing population. Over the years, the schoolhouse spent incarnations as a home and a duplex. Minneola, the third largest city in South Lake County had never had a public library until 2006 when the city purchased the old Schoolhouse on Main Avenue. Extensive renovations began and the old structure from 1884 was transformed. Special attention and time were taken to restore the building to its original state as well as to update to current building codes and standards. On April 18, 2009, the Minneola Schoolhouse Library celebrated its grand opening to overwhelming community support. If you have never been to the Minneola Library, you need to visit! It may be the smallest of the fifteen Lake County libraries, but as one local patron commented, “This is the cutest little library and the staff is so friendly”. So, why not visit and have a piece of cake. Four Corners Toastmasters will hold their inaugural meeting and kick-off party on Thursday, April 18th. The event is open to the public and all are encouraged to attend. There will be free hot dogs provided by Dog Haus. Come hear from two of the greatest public speakers in the area. Curious about Toastmasters? Attending a meeting is a great opportunity to learn what it’s all about. The club provides a safe, supportive and positive learning environment in which members are empowered to develop communication and leadership skills, resulting in greater self-confidence and personal growth. Get in on the ground floor of Four Corners Toastmasters and start improving yourself today! It’s not only educational but it is also FUN!Four Corners Toastmasters is the newest club in Central Florida and meets every Thursday night at 7:00 pm at Grace Baptist of Four Corners, 1428 Sunrise Plaza Dr #6, Clermont, FL 34714 (located behind Wendy’s). For more information call 407-272-0379.